He won many awards during his career so far-Juno's-CCMA Awards-ECMA Awards and was inducted into the Nova Scotia Music Hall of Fame.He has recorded 12 albums and performed all over the world. He acted in a number of films and stage plays. He is a highly regarded humanitarian and a supporter of the Military. He is also spokesman for Juvenile Diabetes Research Foundation. 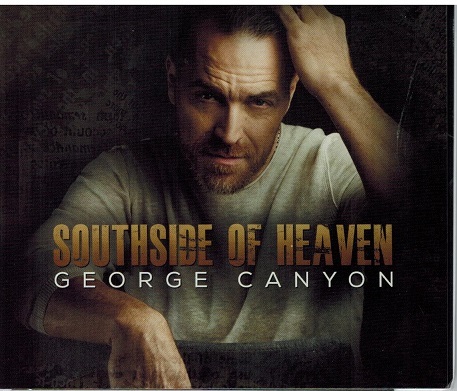 His new album, Southside of Heaven contains 12 songs and produced by Jeff Johnson. Musicians helping George with the music on the album were: Mike Little, Adam Dowling, Jay Buettner, Matty McKay, Aaron Young,Denis Dufresne, Justin Kudding, Chris Byrne and Ryan Stead. Other guests were, Jeff Johnson, Bruce Guthro and Candace Lacina. A point of interest, The song, Falling by George was a cover song of Bruce Guthro's smash hit and Bruce was featured on this song. Another song by George was the song, The Hockey Song written and performed by Stompin' Tom Connors which was a major hit for Tom and now sang by everyone. Most of the written songs were written by others but George co-wrote 3 of the songs namely, Your Lips Got In The Way, He Found Got That Way and She Lives There. This album is by far one of George's best to date. Atlantic Seabreeze gives this album a full 5 star rating out of 5 stars and for-sees more nominations and awards for this album. It will be a welcome addition for George's fans music libraries and other country music lovers as well. For more information regarding George and his music, refer to his website, address posted above.